She recalls how self-conscious and miserable she felt when some children visiting Sa Pa made fun of her short stature and looks. This continued to haunt her until she reached 20 before she accepted herself for what she was – a poor girl without education. But for her that acceptance was not a sign of defeat, only motivation. She began to learn English by speaking with foreign tourists starting with simple phrases like “Have a fun trip.” And then by working at a restaurant. It was around this time that she first began to think about Sapa O’Chau, hoping to use tourism to support her H’Mong community. It took her a few conversations with visitors from afar to gain the determination to realize her dream. In 2007 Sapa O’Chau was taking shape in her mind. O’Chau in the H’Mong language means “thank you”, so it was thanks to Sa Pa, the land that raised Shu and introduced her to many tourists. There was once a time when she was just a dirty peddler on the street and a foreign couple let her into their hotel room to clean up and then join them to eat in a restaurant. A meal in a restaurant was something a poor H’Mong girl could not dream of. The project began in 2009 with the opening of the first H’Mong homestay in her own Lao Chai hamlet. In 2013 she established a company and expanded into other tourism-related services such as coffee shops, hotels and tours. Now the company has more than 50 employees and a branch in Hanoi, and helps 100 children go to school and work every year. Creating jobs and opportunities to study for local H’Mong and Dao children have remained among Sapa O’Chau’s goals since incorporation. This is the difference the H’Mong girl who was honored by Forbes magazine has made. However, not everyone is accepted into the classes, and there are certain criteria. It is non-negotiable that they must have a dream. She prefers to take in orphans who do not have the opportunity to attend school or find jobs and people from poor families lacking support from the family. In the class, the children are not only taught about culture but also English. 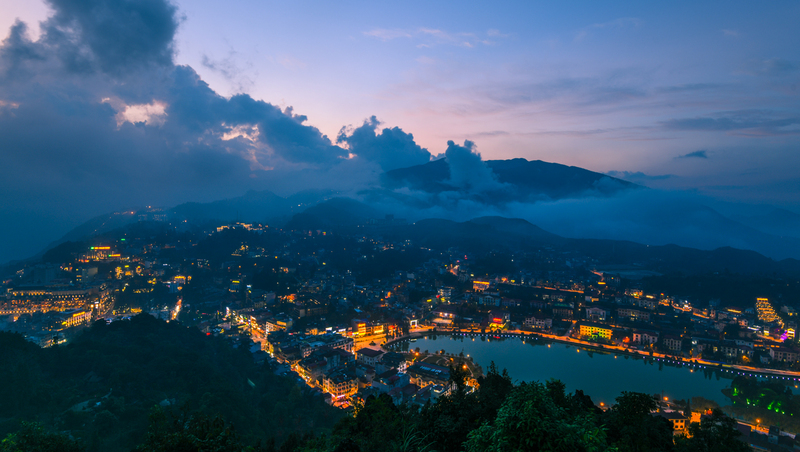 By getting in touch with foreign volunteers in Sa Pa who are also tourists, she provides practical insights to the future tourism workers besides offering a valuable experience to the visitors. 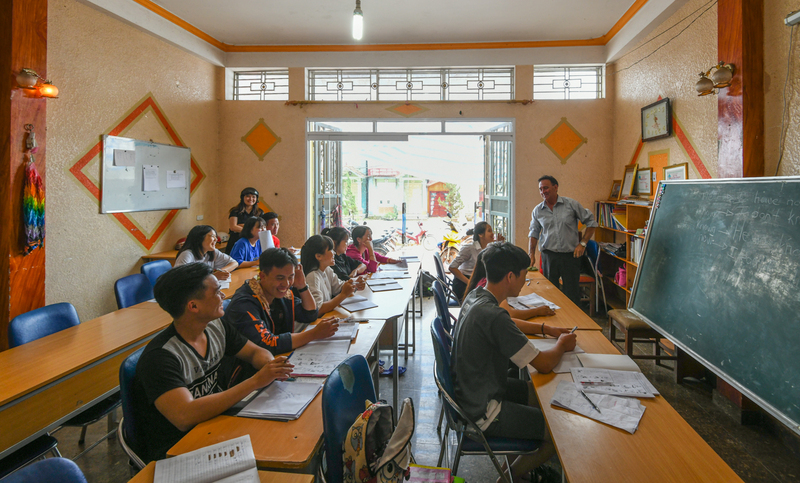 The idea of bringing visitors and students together was sparked by the deep impression left in Shu by a Dutch couple who visited Lao Chai hamlet in the 1990s when she was still young. 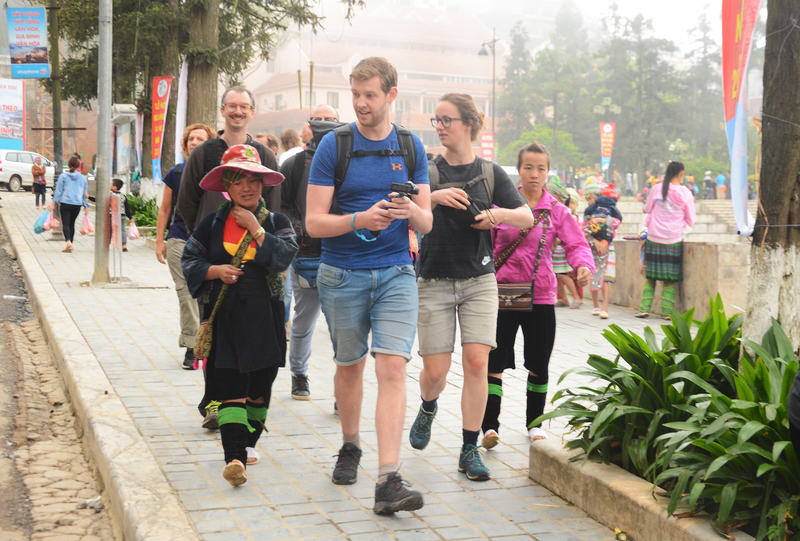 They had been supposed to stay in Sa Pa for only two days, but extended it to one week after taking a liking to the people there, learning about local ethnic communities and trying to helping them. When they left there was much crying on both sides. Shu disagrees with the widely held view that travelers should “Take nothing but photographs, leave nothing but footprints”. She points out that it is thanks to those visitors who left more than just footprints that there is a story about a H’Mong girl who works hard in the tourism industry today. It was those who invited her, a little peddler, into a restaurant, the Australian friends who supported her dream and the international volunteers who spent years teaching English to children in this misty town. 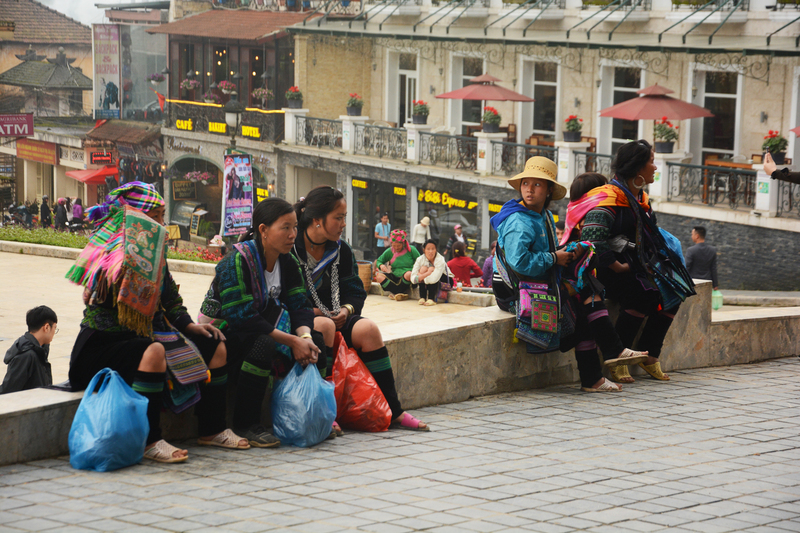 Sa Pa still has many children whose very survival depends on their hawking on the streets. So seeing the rapid development of the town makes Shu happy but also a little worried. She is happy that her homeland is developing and worried that its people might not be able to keep up with the development. 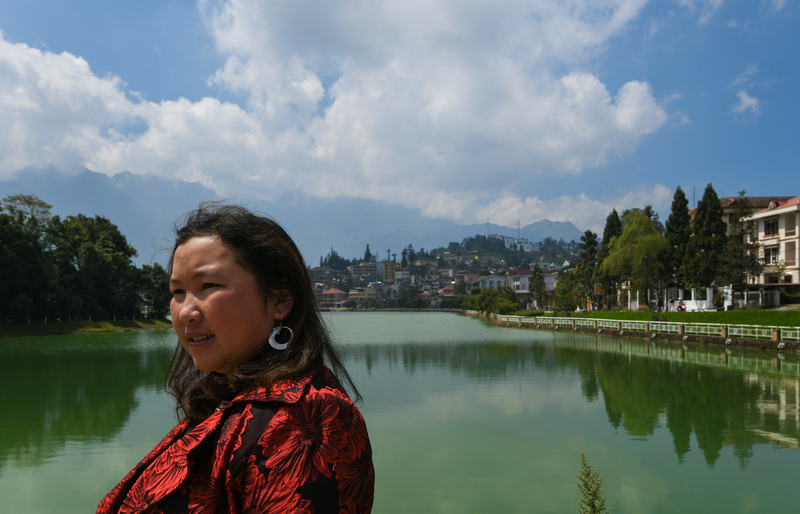 She has found that due to the lack of human resources in Sa Pa, businesses have to hire people from the plains, causing significant cultural changes. Therefore, to ensure sustainable tourism growth, the first thing Shu wants to teach people is to recognize their own beauty. People became too familiar with the scenery and appearance of where they grew up that they fail to see it is special. 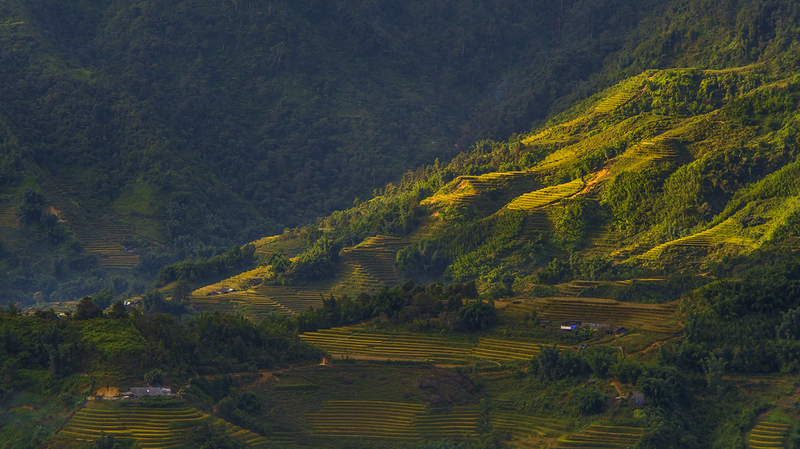 Shu cites the example of Muong Hoa valley, the place where she was born, which completely changes its appearance every season. But locals are too familiar with the sights whereas foreigner visitors are extremely impressed. Beauty can come from the simplest of things such as houses, folk music instruments and cultural traits. 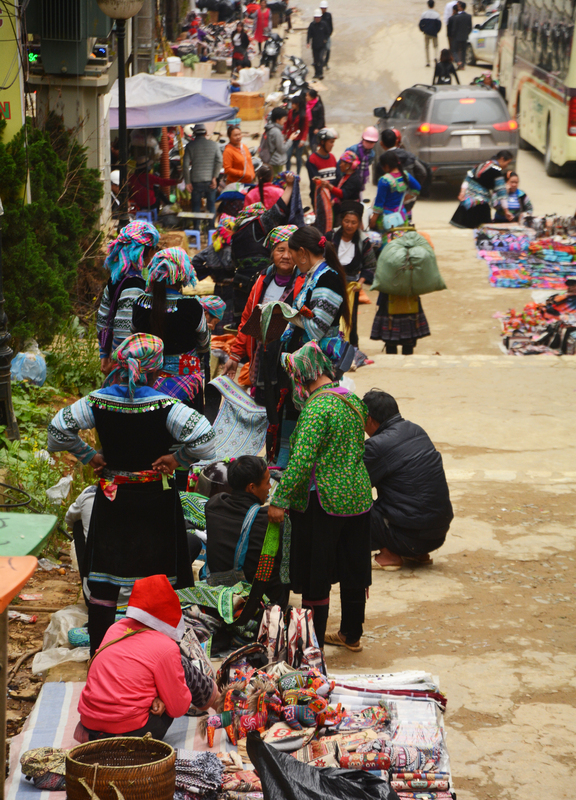 The six ethnic communities offer visitors a rich folk cultural treasure to discover and study. Shu thinks it is this kind of beauty that makes visitors want to come back. 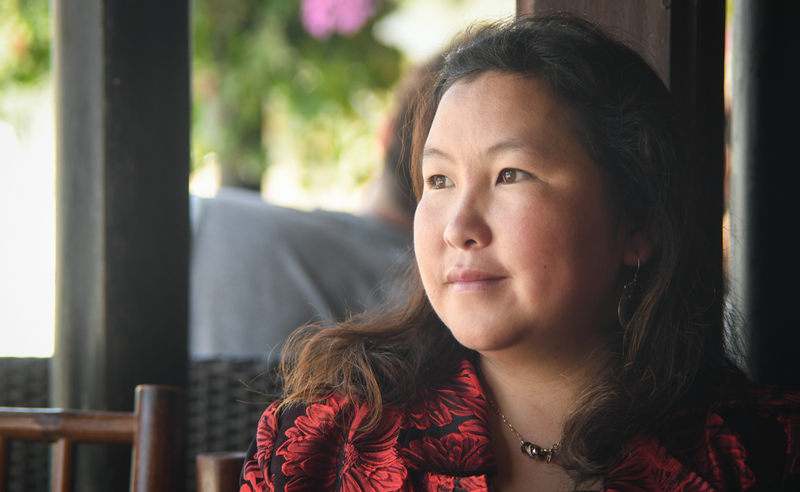 Having attended many seminars on sustainable tourism in the U.S, U.K, Australia, the Philippines, Laos, Thailand, Malaysia, South Korea, and Singapore, Shu wants children in her hometown to have big dreams. 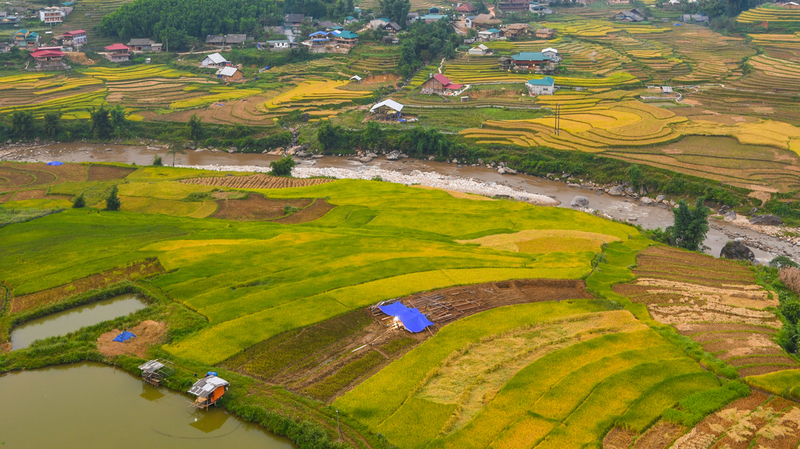 Shu thinks that Sa Pa should develop more homestay facilities, where visitors can experience local culture and immerse themselves in the cultural values of each ethnic group. “There should be a long-term plan for the next 30-50 years that should not be changed, and people should follow it. It is better to have 10 small but nice rooms and a regular flow of customers than hundreds of rooms but only customers during weekends,” said Shu. Có lẽ nên dạy tiếng Anh cho trẻ em đồng bào thiểu số, thay vì dạy tiếng Việt như hiện nay. Tiếng Anh sẽ giúp đồng bào thiểu số thoát nghèo nhanh hơn và bền vững hơn.